The Music School in Varazdin, this year organizes the 4th International Woodwind and Brass competition – Varazdin Woodwind & Brass. Almost 600 young participants from 9 countries from Italy to Germany, will gather at the Music School in Varazdin on Monday, April 8th, 2019, when the opening is expected and the first day of the competition. Until April 17th, younger participants will represent its skills to the members of the jury who are made up of top musicians from the United Kingdom, France, Hungary, Luxembourg, Austria, Slovenia, Croatia, Serbia, Ukraine and Spain. 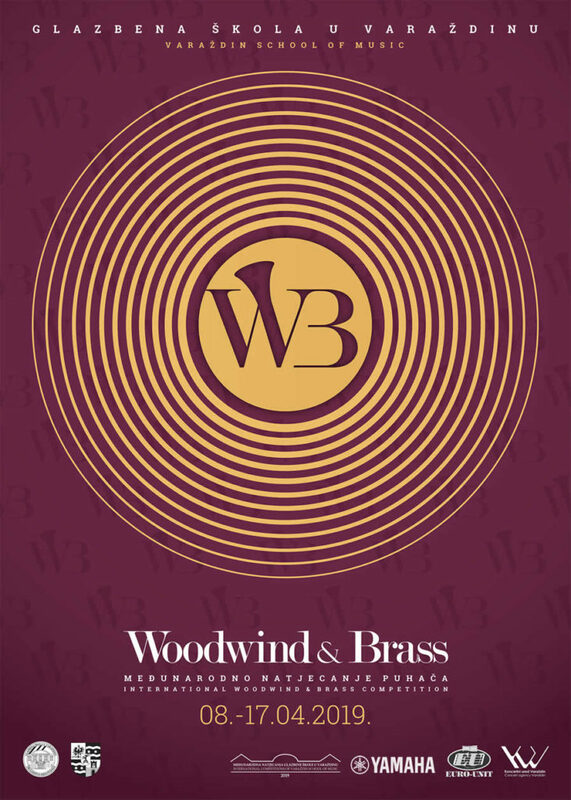 Varazdin Woodwind & Brass is a competition for pupils and students from category A to F, while the Varazdin Woodwind & Brass Grand Prix is ​​a competition for artists from 15 to 35 years of age. The competition is conducted in disciplines: tuba, trombone, clarinet, saxophone, oboe, bassoon, trumpet, horn, euphonium and flute. An exceptionally large number of candidates is just an additional confirmation of the prestige of this competition, which for young and talented students can serve as a “big step” in a further career. At the Music School in Varazdin, the days to come will be filled with the sounds of the wind instruments, and we believe that the competition will once again contribute to the promotion of woodwind and brass music, the development of the artistic work of young talented musicians and international cultural co-operation. Varazdin Woodwind & Brass ends on April 17th when the final competition will be held, as well as the final concert of the best young participants, with the presentation of the awards that will be provided by the main music sponsors Euro-Unit and Yamaha Music Europe.